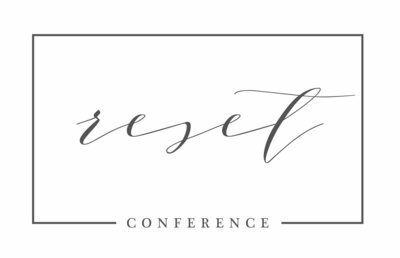 When we started talking about this year’s Reset conference, we knew we wanted someone who was amazing with newborn photography. 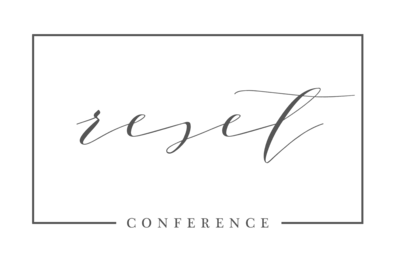 I’ve been following Anne Meintrup’s newborn work online for quite sometime & was thrilled when she said she’d be interested in speaking at this year’s conference! Her work is classic & I love how it just draws the viewer in & makes you just go “ahhh.” (and then you have to remind yourself that you don’t need another baby after viewing her work. Calm down ovaries. That cute newborn is an 18 to life sentence.) She has photographed newborns all over the St Louis Metro area including the babies of several professional athletes. I want to be a fly on the wall during those sessions! Anne puts so much heart and passion into her work. She is a smart business woman and she’s a highly skilled newborn photographer. Not only is Anne amazing at taking portraits, she’s also a loving wife & mommy to her gorgeous family. Her family is her driving passion behind everything she does. I’m blessed to call Anne my friend. I am a mom of two wild and wonderful children and I love our little life here in Edwardsville. We enjoy movies and play-dates; friends and board games. I love to sip coffee with my girlfriends, spend way too much time finding new DIY home projects to complete, and if I happen to purchase tickets to a St. Louis Blues game you might see the crazy (hubby) come out. Setting a good example of a career women & mom. Seeing the bond of parenthood that develops within the images I capture. I am an ACR & CS6 girl. I love Pure Photoshop Actions, and good old fashioned hand editing. I use BlogStomp & AlbumStomp what seems like every day. I really enjoy Newbornphotography.com. I love the community of photographers, the helpful advise, and the 52 week project! If I need anything I have some of the world’s top newborn photographers at my fingertips, ready to assist. Honestly, I can’t say that I spend money on accessories often. I shoot with the same boring black strap my camera came with, if that’s any indication of my flair. This is super simple; the Sigma Art 50mm 1.4. I want people to see the beauty in creating classic imagery, there is a beauty in the lack of loudness in the imagery I create. I try very hard to be the light for other military wives who want to pursue a career as a professional photographer. One cliché about military wife photographers is oh, it’s just a hobby. I want to bring legitimacy to our chosen profession. Empowering women have to value in themselves and believe in their business, can thrive, despite the lifestyle our families lead. Dedicated, driven, compassionate, planner, sultry. I would love to be a crafty person. I am not, and sewing, knitting, pottery, etc, are laughable if I touch them. There’s something to be said for providing entertainment value though, right? Wish you had more of…? running socks… they never seem to come out of the dryer in mates. Wish you had less of….? I was in a mall clothing store around 3-4 months pregnant with Riley Anne. The lady at the counter pulled the lid off her lunch (tuna salad). I suffered an instantaneous “gut” reaction… I felt terrible. Society’s “need” for social media. To build a home like the ones you see in movies; Wrap-around porch, old cabinets, farm sink, wide plank floors with years of stories to tell. Out back would be a small two room studio with windows positioned for optimal sunlight. Something with a natural, airy feel. Snuggling on the couch with the kids or snuggled up with the hubby watching TV or a movie. 1) I wish I could wiggle my nose and have my house be completely spotless. 2) I wish Lukas Benny would be potty trained ri-i-i-i-i-ight NOW! 3) I wish all those quirky home maintenance tasks i.e. changing light bulbs, air filters, and batteries, would just change themselves already.